A rocket was fired into Israel from the Gaza strip on Wednesday causing unspecified damage in a southern city. There were no immediate reports of casualties. “At 4am [01:00 GMT] Israelis in the city of Beer Sheva were running to bomb shelters after a rocket was launched from the Gaza Strip at Israel,” the Israeli army said on Twitter. “We will defend Israeli civilians,” it added, suggesting there would be a military response. 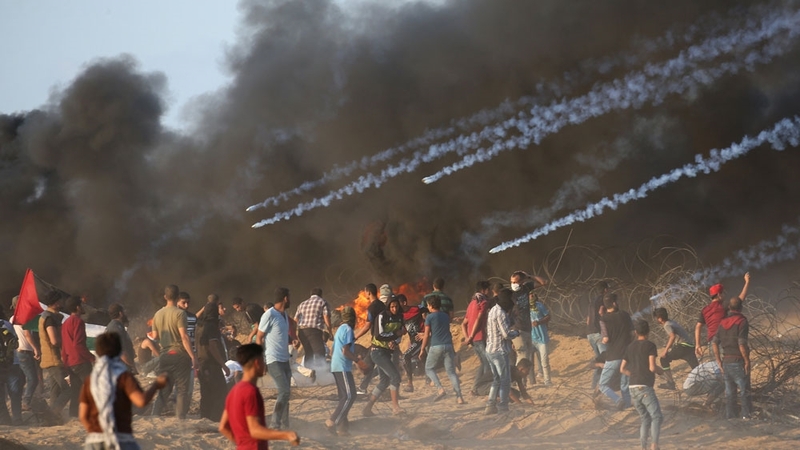 It is one of the first rockets fired in recent weeks from the Palestinian territory under Israel’s devastating blockade and comes at a time of renewed tensions between Israel and Palestinian armed groups. “A rocket struck the city of Beer Sheva a few moments ago causing damage,” the Israeli police said, without specifying the extent.